It is up to the Israeli government to decide how to deal with the Austrian far-right Freedom Party, Oskar Deutsch, the head of IKG Vienna, the country’s EJC affiliate, stated. 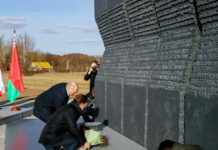 Mr. Deutsch lamented that many of the party’s members still harbour deeply antisemitic sentiments, and that the leadership is not doing enough to act against them. 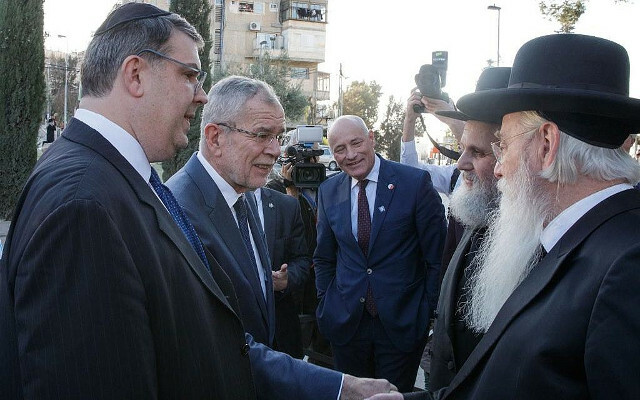 In an in-depth interview conducted on the sidelines of Austrian President Alexander Van der Bellen’s first state visit to Israel this week, Mr. Deutsch hailed the increasingly warm ties between Vienna and Jerusalem. His country has a rich Jewish life, he stressed, and should not be reduced to the Freedom Party, known by its German acronym FPÖ, despite being a part of Austria’s ruling coalition. “It’s Israel’s decision how to deal with the FPÖ. We in IKG Vienna have a democratically elected board with seven different parties and a total of 24 members. This board has unanimously decided not to have any contact with the FPÖ, not because of the party’s past, but because of the incidents in the present,” Mr. Deutsch stated. Both the Austrian Jewish community and the Israeli government currently have a policy not to meet with party officials, including Foreign Minister Karin Kneissl, who was appointed by the party, though not a member. But the Austrian government, including Van der Bellen, has repeatedly asked Israel to ease its no-contact policy, if not with regard to the entire party, then at least for Kneissl, which has led to speculation that Jerusalem may at some point establish a channel of contact with her. Kneissl attends all major FPÖ events and has so far failed to condemn FPÖ attacks on shechita and the many Nazi scandals party members are involved in, Deutsch lamented. 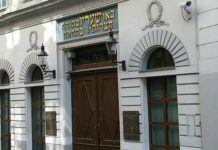 Would Austrian Jews be unhappy if Israel established contact with FPÖ or Kneissl? “Austrian Jews are very happy with many of the decisions the Israeli government makes, and less happy with some others. Not everyone agrees with everything,” Deutsch replied diplomatically. “Of course, I am satisfied with the Israeli government’s course until now. But if they change course at some point, I will take note of that decision. What else could I do? I don’t see a reason why the government should change its position now,” he said. 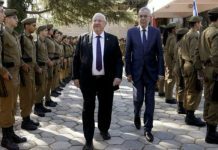 Deutsch, who has headed IKG Vienna since 2012, this week accompanied Van der Bellen during his five-day state visit to Israel and the Palestinian Authority, during which the federal president met with Prime Minister Benjamin Netanyahu, President Reuven Rivlin, and PA President Mahmoud Abbas.